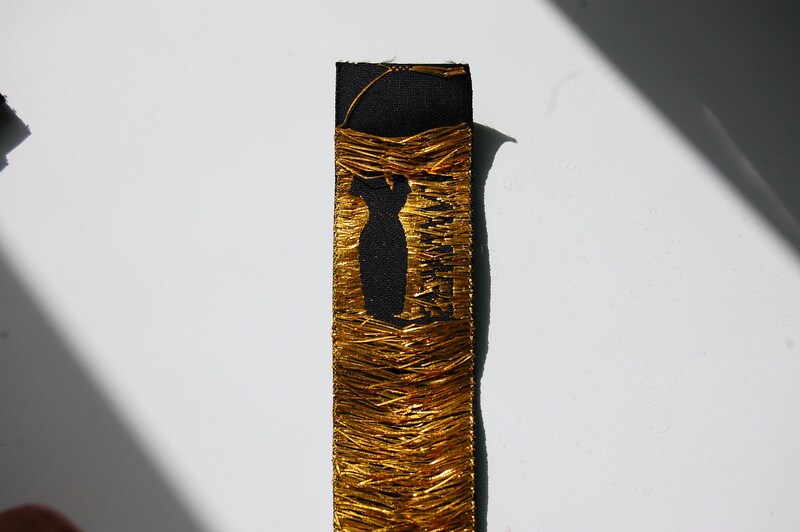 A few weeks ago a Belgium based company (that I confess I had never heard of) called Nominette got in touch with me to ask if I would be interested in reviewing some custom logo clothing labels and publishing my findings/ finished labels on my blog. I said ok. So right away I have to tell you that I recieved these labels on a complimentary basis from Nominette, but all views contained in this post are my own. First off I would like to say that I LOVE the finished labels. They look the business, right? I went for the clothing label with logo (25mm), and selected the middle fold option, which means my logo is printed on one side of the label and the other side I decided to leave blank because I didn’t see the point of having care symbols on these labels, for my personal use. But of course you can have care symbols on the back if you so wish, and I know that both Melissa and Winnie both included care symbols on their labels. As you can see I went for what I like to think of as the “blingy but classy look”, haha. 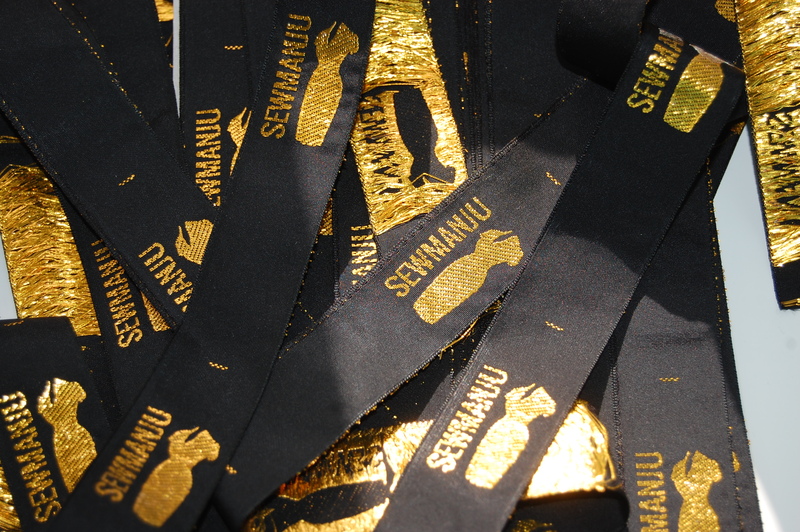 My labels are black with my logo woven in gold thread. The quality of these labels are second to none. The turn around time was very quick. I don’t think they are scratchy but I have just sewn one in to my first garment (the quilted jacket….still not done!) so only time will tell. They certainly don’t feel cheap or rough. I had a huge hand in designing these labels, namely in the form of my sister, Ruth, who’s website you can visit here if you want to see what she does. I consider myself fairly computer literate but I am not au fait with design packages and so my sister designed the logo based on some ideas I gave her. I must also tell you that both of us struggled a little with a few aspects of the Nominette website. Things like the scale on the ruler on their website didn’t quite seem to make sense to us, some of the preview shots didn’t match what we input and it would have been nice to have had a chance to have a final preview of the designed label before committing to print. But these are minor things, and at the end of the day I got exactly what I ordered, no complaints, and other users have also used this website very successfully with no problems. So please don’t think I don’t highly recommend this company, because I do. I have passed on my feedback to Nominette and hopefully they will make the process even easier. Thank you Nominette for the opportunity to have some of your fantastic labels. 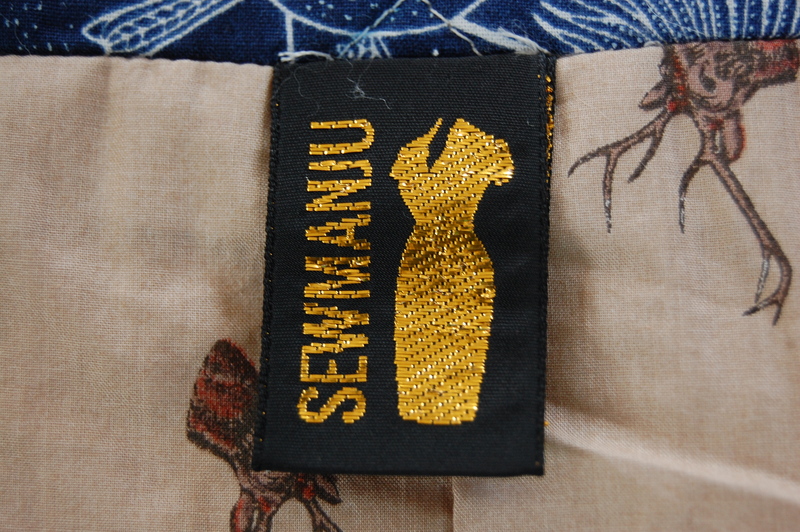 I think they take my finished garment up a level or two and I would definitely consider using them again once I run out of labels. BTW, in case anyone is wondering, I received 50 labels which should have cost £53. 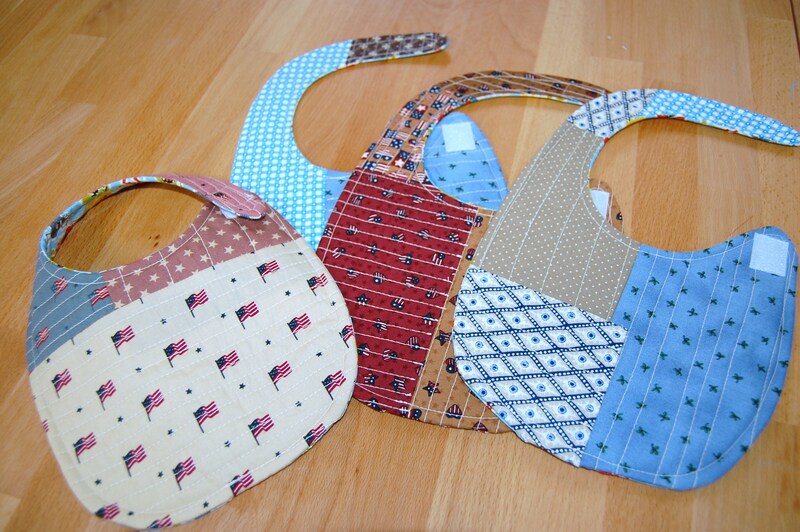 Anyway, in return I made her some quilted baby bibs. Check them out. 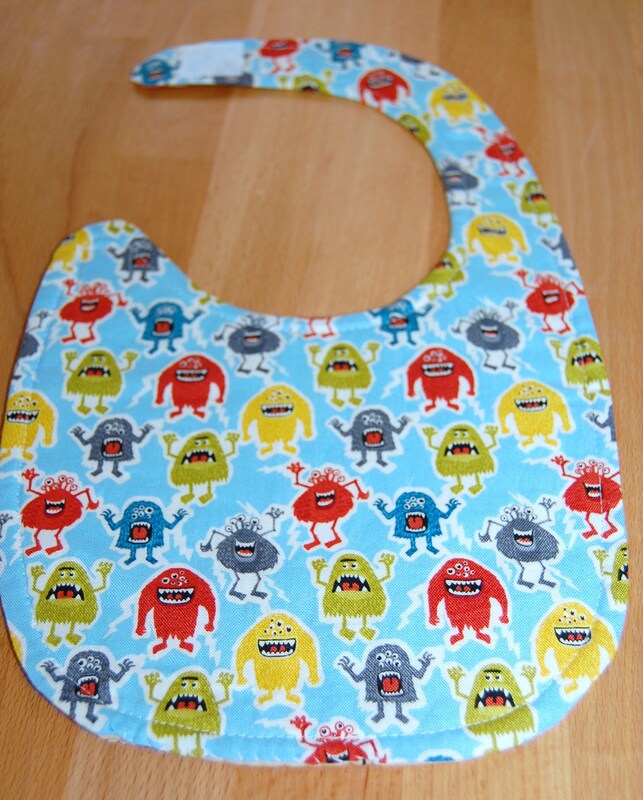 I first saw these over on Lori’s blog, and they are probably now my favourite baby gift to make. You can find the tutorial here. FYI I used a velcro fastening on mine. 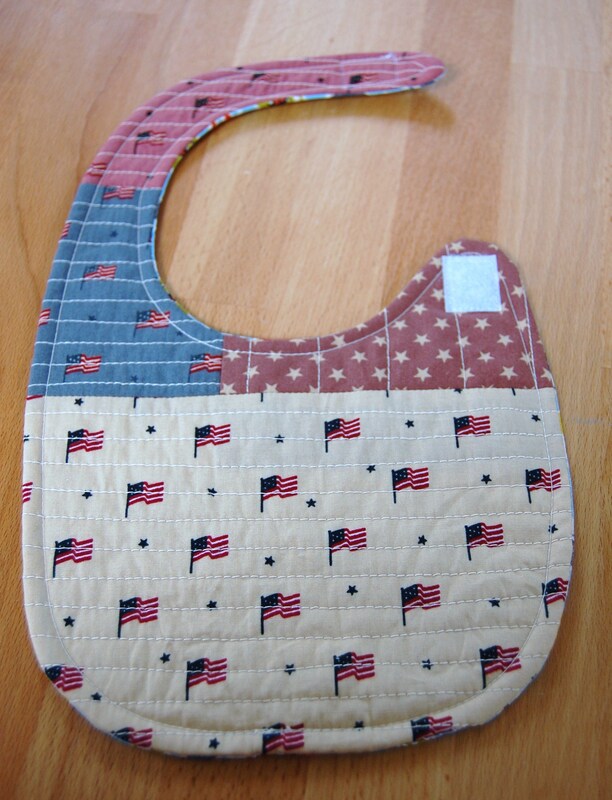 Lastly, at the start of the summer, I was the lucky winner of a prize giveaway on Denise’s blog, Dottie Doodle. 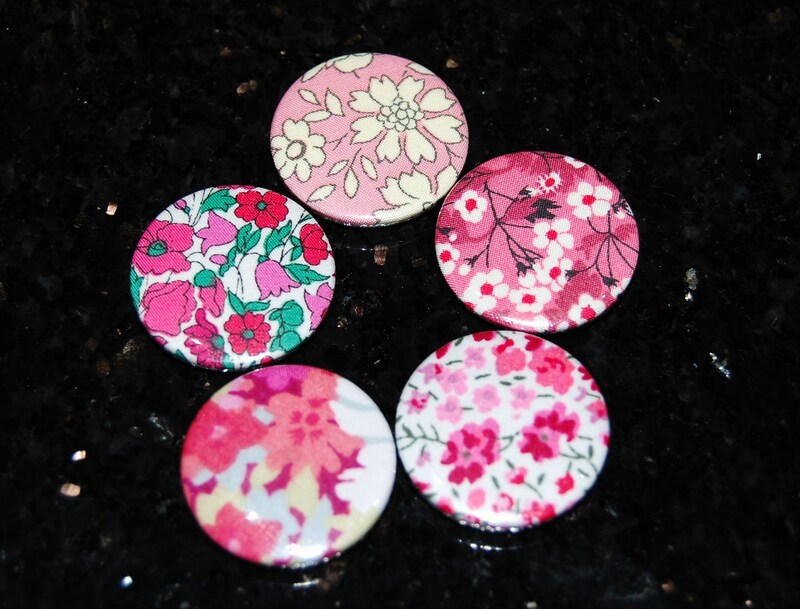 Denise is a very talented lady who makes the most gorgeous little fabric covered notebooks, mirrors, badges and magnets. I was fortunate enough to win these very cute liberty covered fridge magnets. 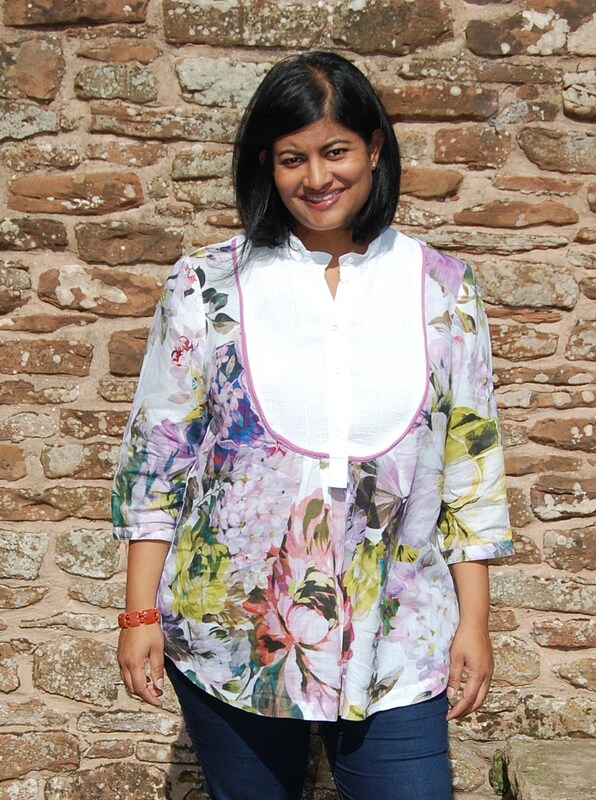 You can check out all her products (available to buy) here. In conclusion, proof that the sewing blogging community still is the nicest blogging community around. Right? Off to work on my quilted jacket! The labels look fabulous. I’m now trying to justify treating myself to some. Those labels look amazing – so professional. And thank you for the mention! Those labels are the business! My Mother-in-law treated me to some labels last year, but in truth they are not my taste. I may need to ask Santa to bring me some of these for Christmas this year! Thanks Alicia. Ah just treat yourself to some labels you love! I have never heard of that label company. Thanks for the info. Your labels are so cute! These labels are exactly what I’ve been hunting for! Do you know if they ship to the US? I have asked my contact that question and will post here once I get an answer.